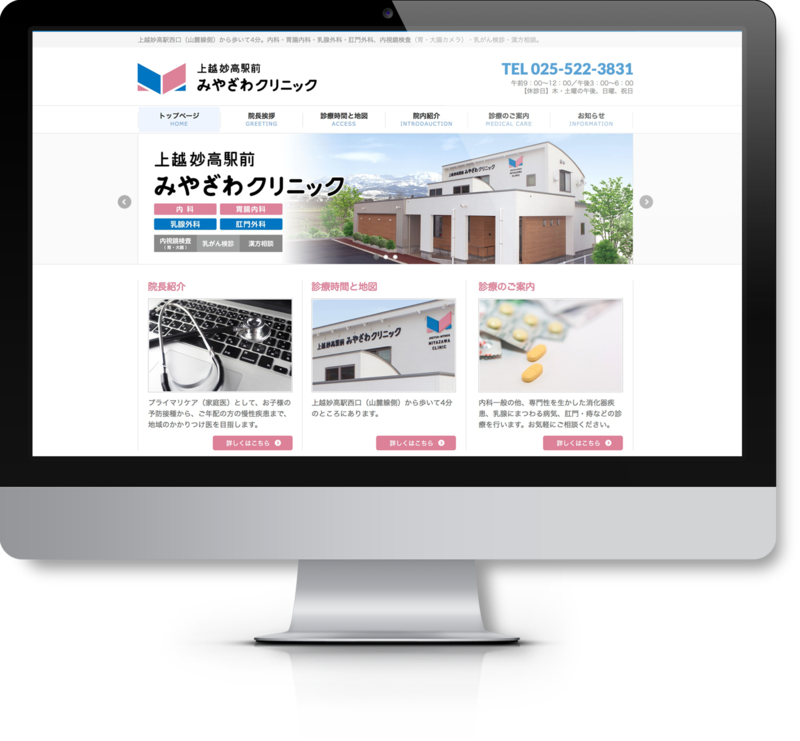 We have made a website for Jyoetsu-Myoukou Miyazawa clinic in Jyoetsu city, Niigata. It made by using one of a WordPress templates. The key color is blue and pink which is used in it logo mark, and designed its emphasizes cleanliness overall.